Along with a recap of the Adapt BB’s reveal event in NYC. Going along with the Adapt BB’s digital reveal, Nike hosted a private showcasing for press at its New York City headquarters. Hosted by Nike’s VP of Innovation, Michael Donaghu, the event opened up with a look at the shoelace’s importance to the footwear, leading us into what the brand touts as the next big industry innovation. Over the course of the lecture, VP Creative Director of Innovation Eric Avar, Jayson Tatum and more discussed the new Adapt BB and its revolutionary features, from the inner-workings of the sneaker to the complementary smartphone app and constantly updated firmware. With the town hall-like event coming to a halt, we got a chance to see how the $350 USD basketball sneaker feels on foot, starting with a quick rundown of the app, its features, and a first look at the beautiful charging pad. The room then came to a quick silence as pairs of the Adapt BB ascended out of hidden compartments in front of each wearer. With our demo phones in hand, we couldn’t help but notice the orchestra of gears and motors going to work all around us as we all stepped into our kicks and played with the various fit presets. A few Nike representatives threw some basketballs out for those who wanted to get some quick shots up, but many of us were more concerned with toying with the new gadget. Proceeding the event’s conclusion, we were given a quick look inside the construction of the Adapt BB, from its newly developed knit upper to its foam midsole, design sketches and battery functions. 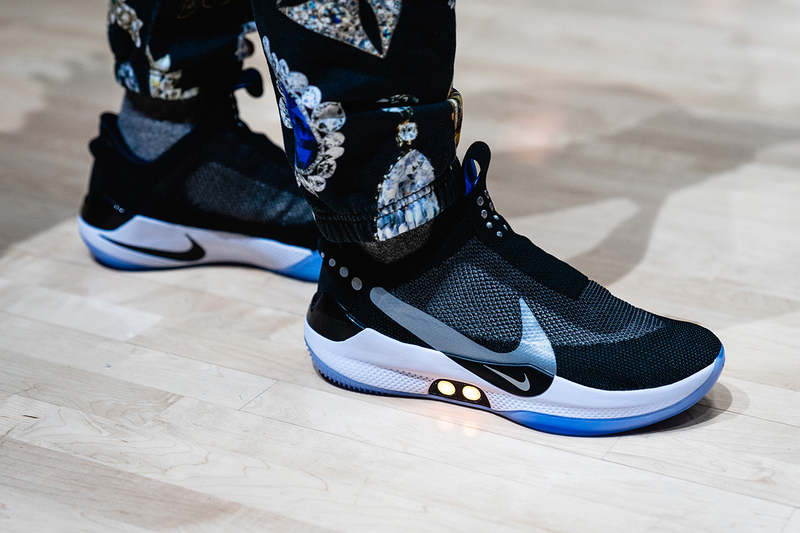 Take a look at our exclusive imagery and let us know if you think the Nike Adapt BB is worth the $350 USD price point. The record was produced by DeeMarc. Dominated by asymmetrical cuts and exaggerated forms. Celebrating their personal and business relationships.